I have seen live both collaboration between Queen+Paul Rodgers and Queen+Adam Lambert. I have to say at the beginning I didn’t like Adam Lambert. He was always screaming, and I didn’t like the way he sung. But then I saw them live last year, in what I consider one of the best Queen tours, and I was very overwhelmed by Adam. Nowadays I prefer Queen playing music with Adam Lambert than what they have done with Paul Rodgers. I think Paul sings very well but I always thought that he didn’t fully incorporate the Queen songs. Paul Rodgers by a mile. It's the difference between Queen playing with a legend in his own right whom I'm already a huge fan of, to some nobody I couldn't care less about. Leigh Burne wrote: Paul Rodgers by a mile. That was pretty much my exact line of thought when I first heard that QAL was going to be a thing. Because like you I was already a fan of Paul before that started, and I once it did I downloaded bootlegs, went to a QPR concert, even bought Live In Ukraine. Adam was to me, at that point, some American Idol guy I didn't even know anything about. I actually remember laughing about it with a friend of mine. But, I eventually decided to check QAL out, and give it a chance, and now I'm a fan. So...I vote Adam, but definitely not by a mile. Paul Rodgers by a thousand miles. I still love the way he sang Queen songs. He really interpreted them, made them his own. The first tour in particular was very special. I still play the album in my car quite often. Some of the best songs Brian and Roger have ever written are on a (now) obscure collaboration album. Those songs deserved better promotion than they got. EDIT: I was not a fan of Paul when the 2005 tour happened. I had heard some of his songs only in passing. For some reason, Bad Company and Free were never really that popular in my country. Thanks to QPR, I started to appreciate what a marvelous singer, songwriter and performer he is (especially the stunning metamorphosis he went through from the early 90's compared to when he started playing with Queen). I think now as I thought back then - Paul was a classy choice to front Queen. That other dude... that was a kitschy choice. 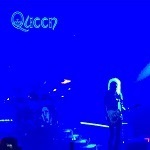 The__KingOfRhye wrote: But, I eventually decided to check QAL out, and give it a chance, and now I'm a fan. So...I vote Adam, but definitely not by a mile. I have seen some Queen + Lambert stuff, on YouTube and the like. It just did nothing for me. I find Lambert to be a bit of a prat. That's no slight against people who do enjoy his work, such as yourself, just my personal opinion. Ask the question a slightly different way. Legend in his own right versus a Freddie impersonator. Not much of a contest, really, is it? Still, I guess as far as Brian and Roger are concerned, one of them was a bit more malleable, the other comes with an ability to say that he's had a lifetime in music, and will do it "his" way. 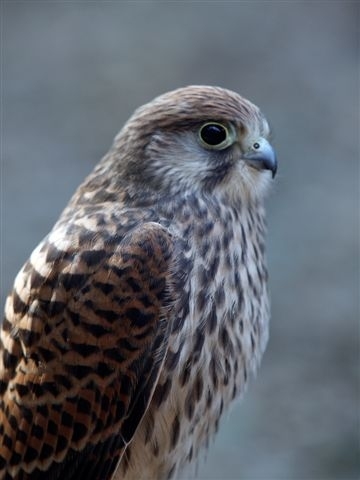 Kes wrote: Ask the question a slightly different way. Remember what I said, though, that was basically what I thought when I first heard of the Q+AL thing. If you don't like Adam, fine, but I think it's unfair to judge it just based on their previous track records, and also unfair to Adam to call him a "Freddie impersonator" because he really isn't. I don't think I'd put Adam Lambert in the same ball-park as Marc Martel, being honest. And no, AL isn't a very good Freddie impersonator, as even at his worst, Freddie never hammed up the campness THAT much. Kes wrote: I don't think I'd put Adam Lambert in the same ball-park as Marc Martel, being honest. The point was, Marc is way more of a "Freddie impersonator" than Adam is. And no, AL isn't a very good Freddie impersonator, as even at his worst, Freddie was hammed up the campness that much. I really don't even think Adam is that much more campy than Freddie was, if that's what you're saying. What's the campiest thing Adam does while with Q+AL? Lounge on a purple couch?? Ride a bike?? Oh, the HORROR! It sounds like a silly thing to base your judgement on, anyway. Judge it based on how you like hearing Adam singing Queen songs. If you don't like that, OK then. I wasn't too hot on PR's voice on some of the Q songs, however, on stage-craft and presence, he outdoes AL. AL is, certainly more suited as a voice, but there is a nasty after-taste of 'tribute band'. Saw them both, twice each, and it was a good night out on each occasion. If we want to feel nostalgic, we got the records. These projects are, IMO, something else involving RMT and BHM. And they're fun to attend. I attended 10 Queen + Paul Rodgers live concerts and I like listening tracks from The Cosmos Rocks album. After the gig in Kiev 2012 I stopped following the Queen + Adam Lambert. I like that Brian and Roger perform live, but this singer is not my cup of tea. I was a casual Queen listener until I saw them live with Lambert in 2015. Since then I have become a fan of both (spent days and days on youtube afterwards). Back then on YT I also found the footage of Queen + Paul Rodgers. And no, it did nothing for me. I am not into it, because Paul sings the songs too differently. I don’t think, I would have become a fan, if I had seen them first with him. I am of a younger generation and I wouldn’t have known a single song from Rodgers, so about half of a concert would have been rather boring. So I root for Queen +Adam Lambert. It’s simply the best show, I‘ve ever seen. And you can see, that Brian, Roger and Adam love to play these gigs: they simply radiate joy and happiness on stage. I think "half" is probably a bit of an overestimate, as I don't think they ever did more than about four or five songs from Paul's back catalogue, in any one concert. And as far as most people in the rock world are concerned, songs like All Right Now and Feel Like Making Love are playing in the same ball park as most of Queen's classic rock songs. I appreciate that Mr Lambert has brought a whole new generation along to the gigs, but I think most of them would desert the set up, within about a year of the three of them parting company.